These are quite well known in the world but be all means not the only wallets in the world and I insist that it is better to find a Bitcoin Wallet that is acceptable in your country of citizenship, as some wallets will not allow you to transfer funds back into your bank account should you chose to do so. Many wallet companies allow you to deposit funds but some governments do not allow withdrawals from certain wallets because of possible illegal activities by certain members of the said wallet. Just do your research by searching bitcoin wallets “your country” to find the right one for you. 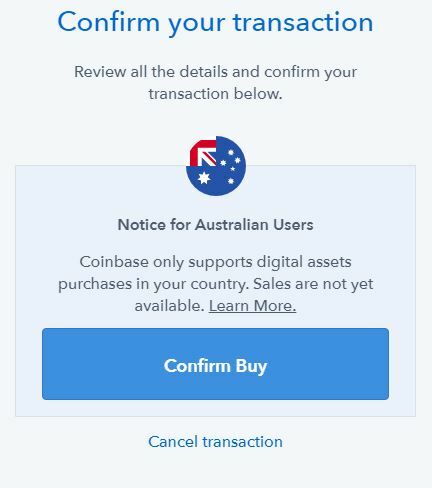 Even in my case, as an Australian, Coin Base does not allow funds withdrawal into a bank account in Australia at the moment. 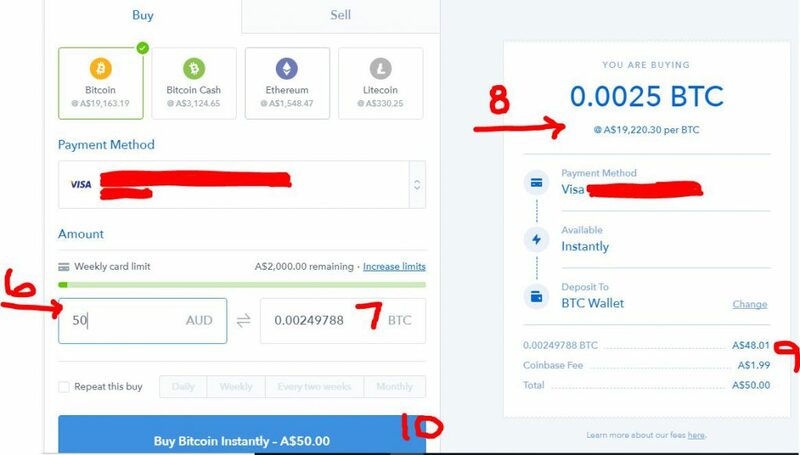 I can deposit funds easily by Credit Card or by my bank details only, but I can send Bitcoins from Coin Base Wallet to my Coin Spot Wallet Exchange and then sell these BTC into funds and then transfer these funds into my bank account in Australia. With Coin Spot I can deposit funds from my bank account and withdraw funds easily and I can also purchase bitcoins and other crypto coins on my Coin Spot Platform. I can also send these coins to other peoples wallets easily anywhere in the world with just a few clicks of my mouse. 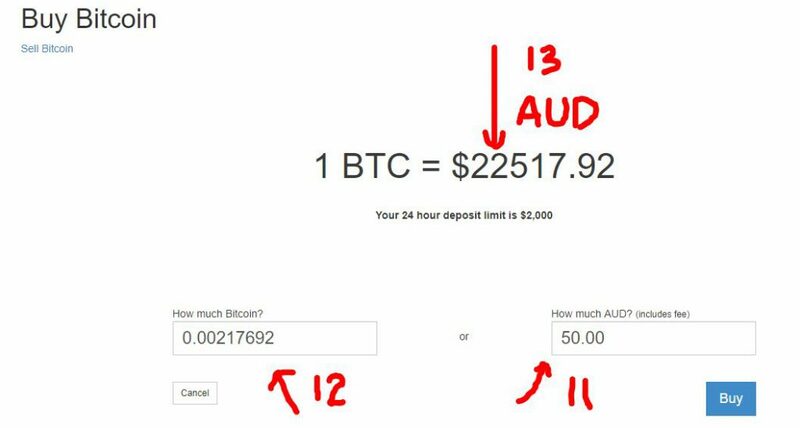 Opening a Bitcoin wallet is just like opening a bank account or share trading account. All wallet companies require basically the same information described above and if you find a wallet that DOES NOT have stringent requirements then just beware or avoid them as they could be just front website companies that will steal your money and scam you. Coin Spot actually request an up to date photo with a Coin Spot Verification Number with a short written statement by yourself showing that you are the same person as in your photo ID that you are using in the verification process. Coin Spot even called my mobile while I was overseas and rejected my first application because I was overseas. I had to wait until I was back in Australia to go through the whole process again to be verified. In my opinion, I think this is a good thing and gives me confidence in the security measures of the Coin Spot company. I will start with Coin Spot but skip and go directly to the Coin Base instructions further down the page. 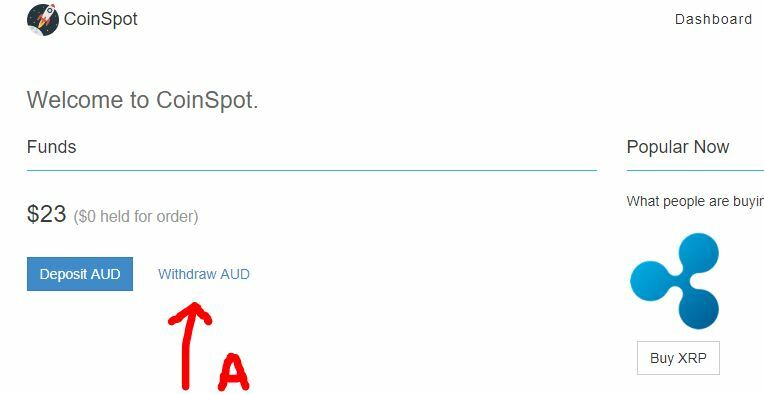 For Australians I recommend Coin Spot for the reasons I have already mentioned above. CLICK HERE or the click the image below to go to the sign up page and fill in your details. Once signed up you will receive an email from Coin Spot for verification and then you can proceed to verify your details as per instructions on the Verification page. 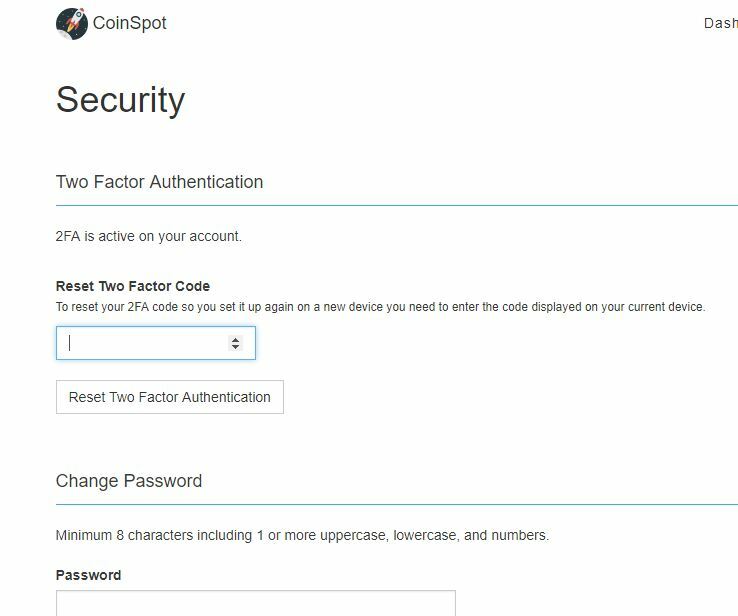 I strongly emphasis that you enable the Google 2FA (Two Factor Authentication) for extra security measure but you can also have a sms security code set up if you don’t want to use the G 2FA. Once you have all your details verified, you will then be able to make a funds deposit into your Coin Spot Wallet Exchange. 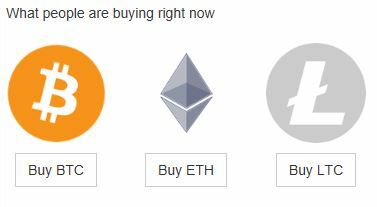 Yes you can use Coin Spot for buying and selling various Crypto Coins as a trading exchange. 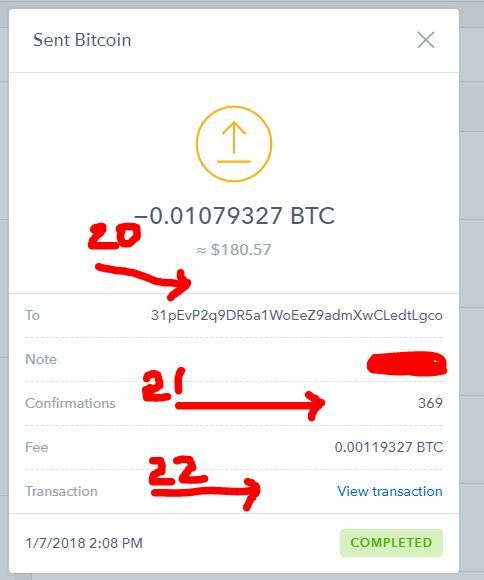 There will always be fees for transactions but this is the case with any coin wallet although the fees vary from each wallet exchange. 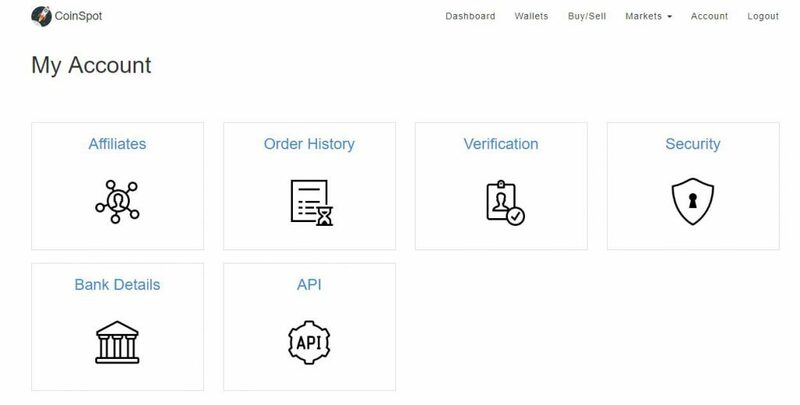 You will be taken back to a new page with a PURCHASE COMPLETE message with a prompt to go back to your Dashboard to see that your coins have arrived. 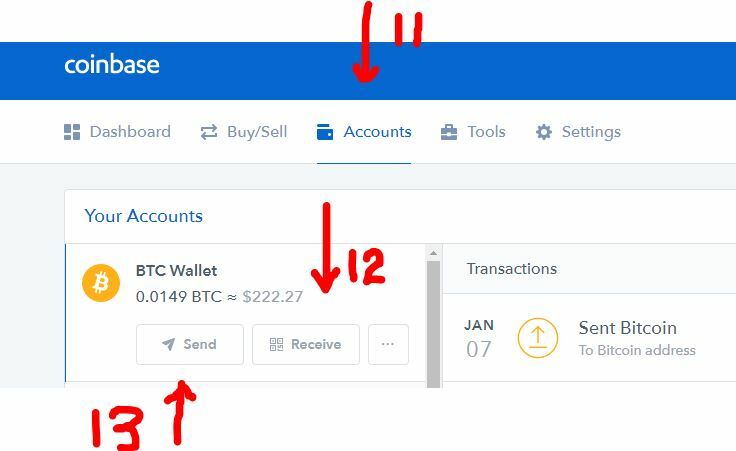 Selling your coins for funds is the same except you are selling instead of buying and you will receive funds back into your Coin Spot account showing just above the blue deposit button in your Dashboard. This quite easy actually. Number 7 is your RECEIVING BITCOIN ADDRESS. 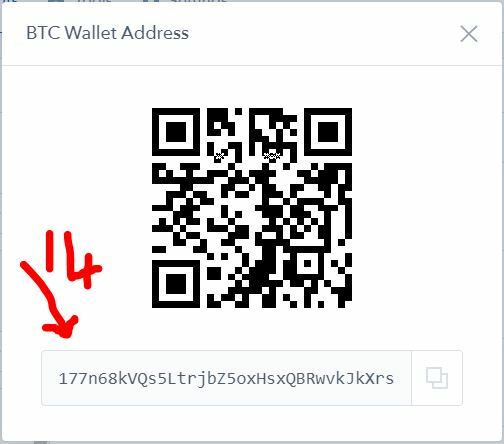 this address is what you give or use to allow people to send to you BTC. 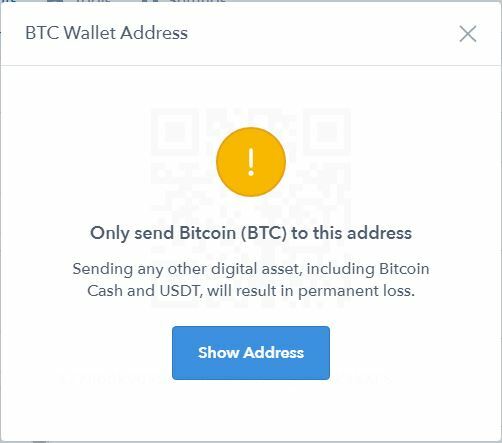 I copy and paste this address into my Coin Base Platform SEND BOX to send BTC to my Coin Spot Wallet. In the image above you will paste the others persons RECEIVE/PAYMENT WALLET ADDRESS in number 8. You then add the amount you wish to send/transfer in the box above 8, enter the verification code at 9 from your phone and then click SEND at 10. You will be taken to a new Pop Up for confirmation the same as when we purchased our BTC. 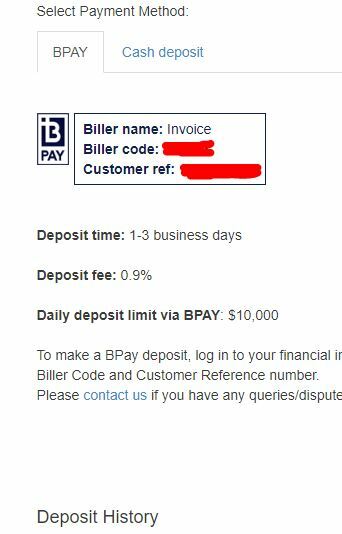 I wont go through this process as I have my personal information within my account but the process is quite simple as just by clicking the WITHDRAW at A you will be taken to page where you fill the details and amounts of what you wish to withdraw back into your account. All of your account details are there and you will need to conform as per usual. The withdrawn funds can take approximately 3 days to get deposited into your account as per what Coin Spot advises on their website. That’s about it for Coin Spot… If you open up an account and have any problems you can give me a shout or contact the Coin Spot staff directly. As I mentioned above, Coin Base is a well known Bitcoin Wallet Exchange although, they are not allowed to operate in all countries. They are still regraded as a strong safe wallet and I can recommend them as I have found them acceptable for my needs. If you are able to use Coin Base Then I suggest to have them as one of your wallets for your journey in the Crypto Currency industry. CLICK HERE or on the image below to sign up for your own Coin Base Wallet. Once signed up you will receive an email from Coin Base for verification and then you can proceed to verify your details as per instructions on the Verification page. 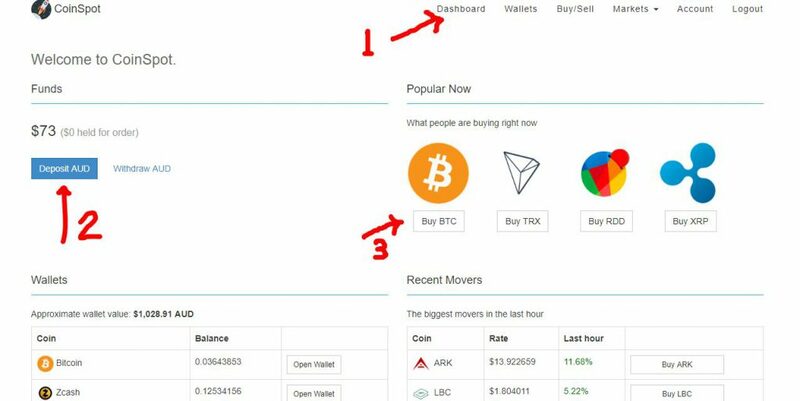 To go through the steps click on SETTINGS and then follow the steps as 1, 2, 3, 4 to get your wallet ready for participating in the crypto world. Once you have all your details verified, you will not need to deposit funds into your Coin Base wallet. You simply buy the coins with the funds from your linked account. In my case, my linked Credit Card. 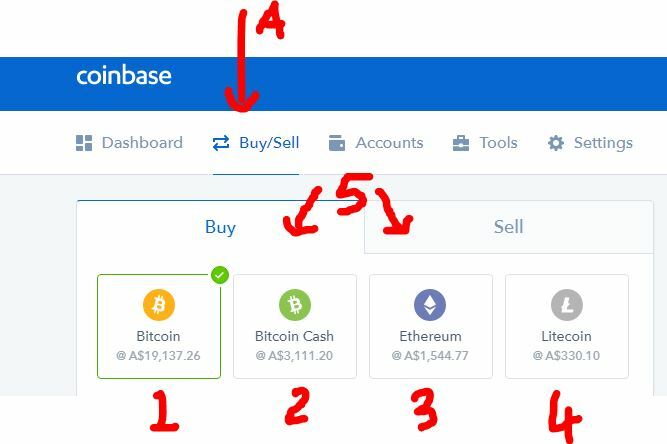 In Coin Base there is only 4 types Crypto Coins at the moment but they have announced that they will be adding more coins during this 2018 year. 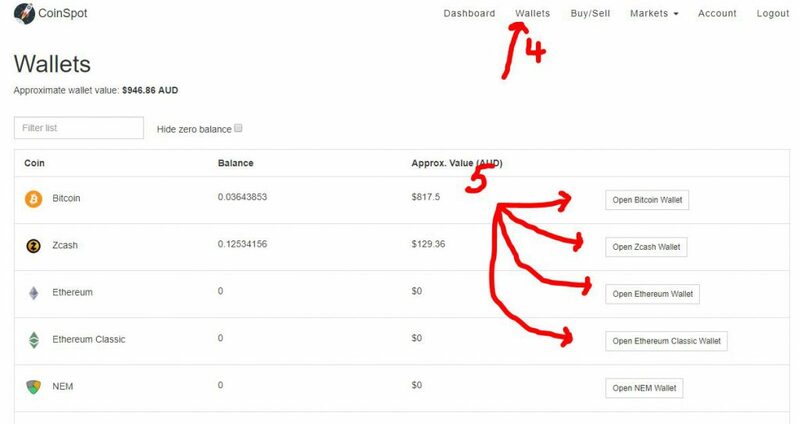 There will always be fees for transactions but this is the case with any coin wallet although the fees vary from each wallet exchange. 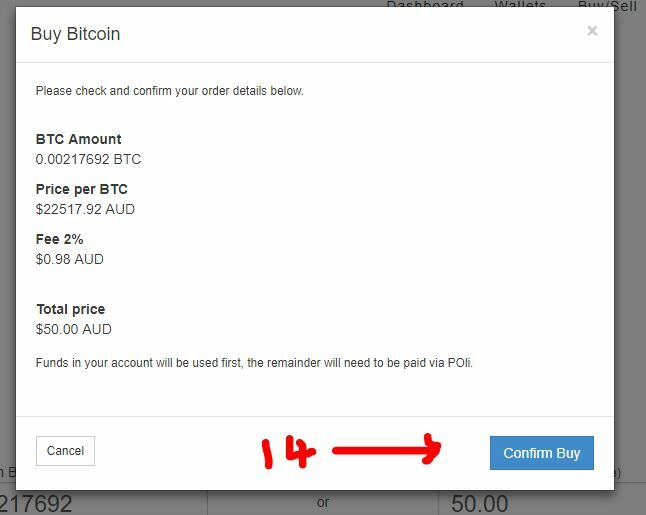 You will notice for Australians the we can only buy the coins and not sell them at the moment. Click on number 13 button shown in the image further above. After you click the CONTINUE button, a new Pop Up will appear where you will need to put in a confirmation code sent to your phone or the code from your G 2FA security. And then you confirm again. You will then get another Pop Up stating that the transaction has been action-ed. The transfer time will depend on how fast the Block Chain is moving and could happen within minutes, hours or a day. It also depends on how big the transaction is. Larger transaction may take longer. 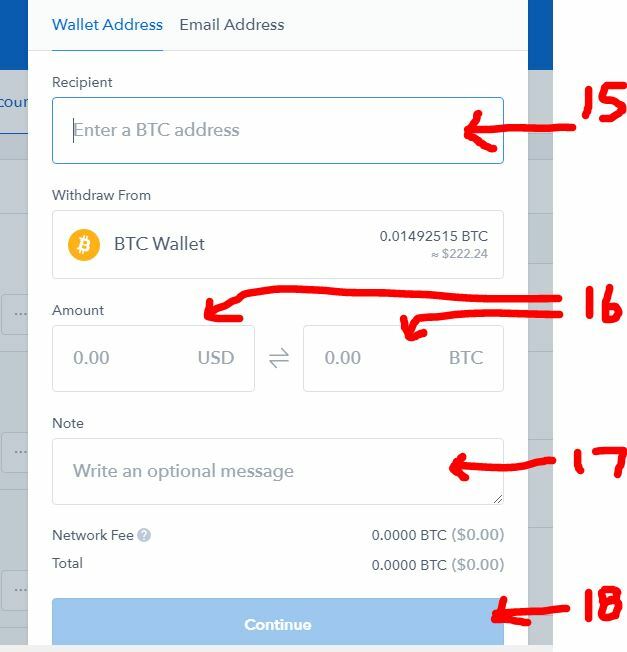 The image below is your transaction statements and you can click on these to see where you sent your BTC from the comment note you filled out yourself when you made the transfer. 22, this button will open up a new web page showing all the block chain confirmations should you wish to check them out. These are the two wallets that I use and I am comfortable recommending. As I indicated earlier, I suggest you search for the right wallet for storing, buying, selling and even trading within your own country that accepts funds deposits and funds withdrawals. Do your research and ask friends that you may know that are already participating in the Crypto Currency industry as they would have already done the home work and help you save some time. Make sure that the verification process is stringent enough to satisfy your security needs and if it seems too easy then just beware and protect your interest and your money of course. I hope my article and information was helpful to you and feel free to leave me a comment or question below. Thanks for stopping by and best regards and luck to you.